Do Q-Link Pendants Really Work? Q-Link Pendants are supposed to help with the electromagnetic chaos that is running rampant the further we go down the technology rabbit hole. If you go along with the claims, you’ll be protected from all sorts of frequencies that disturb your own natural energies. But how well can something like this really work? Few can deny that we live in an increasingly hectic environment, and that’s just the things we can see. If you stop to consider all of the gadgets and devices we use these days that are emitting invisible waves and frequencies it becomes mind-boggling. The pervasiveness of WiFi is just one very obvious indication of how many invisible beams are being broadcast all around us. You may not have given them much thought, after all there’s not much you can do about them as far as getting the world to stop using wireless devices. The claim of Q-Link is that their pendants and other products help to neutralize the EMF chaos around you, allowing your body to maintain its natural energy balance without the interference that these electromagnetic frequencies cause. At the end of the day you’re talking about invisible frequencies, wavelengths, and a product that doesn’t do anything that is visible to the naked eye. Much of this is going to come down to how much you believe that a) there is a problem, and b) that this product works to fix it. So really there are two sales being made here. They have to get you to agree that EMF overload is a problem that is effecting your body and mind, and then they have to get you on board with the idea that their product works to fix this. All that you are required to do after purchase is wear it 24/7. You can wear it while you sleep, as well as in the shower. You don’t ever have to take it off, and they say it’s best to leave it on as much as possible so that your body and the device can sync up as strongly as they can, which improves the effectiveness and provides the best results. When you get the Q-Link pendant it’s not really much to look at. It has a plastic housing and a copper-looking circular wire in the middle of it. It might make you think that you’ve wasted your money when you first get it. There are no movable parts, it doesn’t need to be plugged in or charged up, it’s waterproof, sweatproof, and otherwise really tough to break or scuff up. If you thought it would actually “do” something, you might also be disappointed. It simply hangs from your neck. They say that the best place to wear it is hung from your neck so that it rests in the middle of your chest. They also say that you should keep it in the same place as much as you can. Some of their other products are not pendants, but rather discs that you can keep in your pocket, or other USB powered devices that plug into your computer to neutralize all of the frequencies that your computer emits. If you’re waiting for the scientific proof that this works, you’ll probably be waiting around for a long time. Science generally writes off the idea of products like these working, so there is a general bias when tests are performed. The real proof is in trying it out and seeing if it provides you with any of the reported benefits. The reason that looking at reviews doesn’t really work in this instance is because there are just as many people that will foo foo this away as there are that will try it and like what it does. These are only individual opinions, and each person will come into the situation with their own preconceived notions and feelings about what will happen when they use it. After trying out a Q-Link pendant for over a year, we have to say that it did provide some results as far as making us feel better overall, and get more work done when sitting at a computer. The appeal for us was that it was supposed to help you when you’re working at a computer, since it is such a strong source for different problematic frequencies like WiFi, and it would always be quite draining to sit for long periods of writing and web management. Wearing the pendant just became second nature and it did seem to help with mental clarity, focus, and with sustaining longer periods of work and productivity. We went into the purchase a bit skeptical, and starting using it on the basis of “why not?”, trying to do our best to remain neutral and simply observe the results. We’re well aware of the placebo effect, and how spending $100 will make you want it to work. Do we have any scientific proof of our findings? No. But after not wearing it for a few months now, the difference is clear and we’ll be getting a replacement in the very near future. If you do a lot of work in a cubicle, or just an office in general with so many computers, cell phones, and WiFi signals surrounding you, you might want to give this a try and see if you respond to it. They have a 30 day money back guarantee, which is plenty of time to make up your mind and request a refund if you don’t like what you’re getting. What do you think? Do Q-Link Pendants work or not? Do doTERRA Oils Really Work? Let’s see. Cellphone, computer, computer monitor, bluetooth devices, speakers, headphones, tablets, remote controls, video game controller, wireless keyboard, mouse, and router, this is what I can come up from the top of my head, as far as appliances that I’m close by pretty much throughout the day. It sounds like science fiction, but I wouldn’t be surprised if I were negatively affected by all these devices that I have to live with. I didn’t think much of it before, but I’m starting to believe they’re affecting my body and mind negatively. I just got one to try out yesterday. I am very , very skeptical and am prepped to send it back before my 90 day trial is up. I am kindof wanting it to fail so I can spend my $90 elsewhere tbh. I am just thinking copper is the key to all this, not the SRT technology. The supposed “chip” inside has no power source. I don’t know how it can logically be able to store details on and create “sympathetic resonance” without any [sufficient] source of power. So you just got it yesterday and am telling us that you did. And no return back to comment on results?? Why do so many people comment, “i am trying it” and then dont report what they tried???? Why do even say you are trying it in the first place? Did you wear it awhile?? Has it worked?? What happened?? This blog IS actually about, does it work? It doesnt do anything to say what you think about what you just purchased. Better to say, “i got this a while ago and this is what i have noticed about its effects”. I 1st found this in 1995 I was at a conference in Atlanta. The place was packed with people. Stressful actually. I had my hand kierilian photographed before then I walked around all day with the qlink then had another picture taken. It was a clear difference! I felt at ease compared to my first start of the expo. I have gotten more for family. It makes a differnece being It makes my body feel clearer less static stress of just stuff. No this is not a clear discription because I do not know how to explain energy. I have spent the past year in and out of the neurologist office with daily migraines, nose bleeds, seizures, nausea. My hands and feet would lose feeling or tingle. My skin burned and itched on my arms. Feeling similar to a sunburn. I went through 2 MrI scans. 16 blood tests all read normal except for low b vitamin. I could not go anywhere that had fluorescent lights, which is everywhere. My dr tried several medications and different doses. I suffered so great and was so fatigued. I just wanted to die. My husband took me on vacation to Jamaica and I noticed that my symptoms went away. As soon as I returned home they came back. I was so confused. Then a few months later we traveled to Florida. My symptoms lightened up again. I thought maybe I need to live by the coast. My husband started researching and discovered that all my symptoms were the same as emf poisoning. He bought the qlink, protectors for my phone, tablet, and laptop. He also bought an emf plug in for our room. Our theory was spend a few hundred dollars and see if it helps because it definitely couldn’t hurt. I was skeptical but nothing else was working and I was taking 12 pills a day. Immediately when he put the emf sticker on my phone I could tell. It not only stopped the humming in my ears but the physical temperature dropped. The same occurred when I put them on my tablet and laptop. I couldn’t believe it. The necklace took about 4 days to start working. I would wake-up without foot pain and burning skin for the first-time in a year. One day I forgot to put the necklace on after a shower. My day was horrible. As soon as I returned home I put it on. It took a few hours to feel good again. I now have been wearing it 2 months. I stopped taking all medication. All my symptoms are gone. I can still feel some of the emf radiation when I am in a place with lots of people and cell phones but it is definitely tolerable. I can go shopping now too. The fluorescent lights don’t hurt anymore. The qlink has been my life saver. I’ve had one for a week (only paid $40) and it seems to work a bit. I also had the wifi turned off on my computer and bought a corded phone. All this helped somewhat but not enough. It wasn’t until I turned the speaker on my cell phone when I answered it and sat in at least a foot away that I noticed the most dramatic results. I felt sane. Calm. Happy. Productive. Energy returning. So that’s my report. I used to wear the SRT-2 years ago and it definitely helped in the sense that you buy one of those holographic bracelets the guy does muscle testing and shows your body is more aligned and stronger. I do not claim to be an expert on the subject however , i have a very positive experience using q-link technology. I have worn a q-link continually since 2015. It was recommended for managing my diverticulius. I have not had a serious flare up in this time. I would recommend it. I have worn a Q-link for almost twenty years. I purchased it in Australia when I used to fly every week and many times trans- continental flights. I lived in Brisbane and the office was in Portugal!!! Since wearing it, I have never suffered from jet lag. I am very active, sleep well most of the time and rarely get tired. I am now almost 75 years old. Does it work? I don’t know, but I wouldn’t want to be without it. This device was doctor recommended by a functional medicine practitioner. Pooh-Pooh this product and its premise if you will, but I had the privilege of viewing a drop of my blood under a Bradford microscope (like a med lab version of the Hubble telescope!) before the Q-link and saw my red blood cells clumped together in short chains, wriggling like impotent maggots. Think about it: Red blood cells are what carry oxygen to our organs. After a month-6 weeks, the cells were “unchained” and free-floating and ready to do their job the way nature intended. If it weren’t for this visible proof, I would be a skeptic, too. I bought a Q-link and wore it for two months, hoping it would help with headaches and general inability to focus I’ve experienced since beginning working in a tech-filled office environment. I found that it did absolutely nothing for any of the symptoms I was experiencing. I do not recommend buying one. I have been wearing once roughly 4 months. I took it off for two days and had a horrible second night of headache, stomach pain, and joint ache. I am on day two of putting it back on and feeling better. I was shocked how weak and sickly I felt not wearing it. No change of diet or anything else could have been attributed to this sudden crash in my health, so I’m a believer! I purchased the SRT-2 back in the 90’s on the recommendation of a Pro athlete aquaintance. The effects were marginal but positive. Now, some 30 years later, I found it where I had stored away during a move many years ago and started wearing it again. This time I felt positive effects almost immediately in both mental clarity and less joint pain. I’m excited to have ordered a new SRT-3 and have chosen the attractive silver model since I plan on wearing it for many years. I bought the Q – link pendant when I discovered what EMF is and does to the body as a mobile mast when up near my home. I later moved and packed the Q-link away and did not think about it. over the years I got migraines every week, some lasting as much as 3 days, I felt tired and had bad brain fog. I bought an EMF reader and was shocked to find the high levels in my home. These high level where coming from my router (turn it off and it went away). So I go a cable (ethernet) and connected that to my router I then had to use the admin page on my internet provider to opt out of wifi (I still take the odd reading to make sure that wifi has not been enabled accidentally again). This had brought the readings down from about 300mV/m in my living area back down to 2 to 49 mV/m (depending on what appliances I have on: I have never used a microwave thankfully). I had no energy and when I put the Q-link on I had mental clarity, got up and did things around the home that I had planned to do but never did : I have been out walking about and much more energy (I am young in my 20’s) back to my old self and my eating has diminished down to a normal level : great news as I am eating a healthy amount so will now loose weight. I can get on with task now. No headaches no having to stay in bed for three days almost screaming in pain as they were so so painful. So somehow this works.If EMF was low and back to the days when no one had mobile masts about etc I would still wear a Q-Link as good for health. I think we as a society and consumer need to reject these EMF products until they give us alternatives that are non damaging or at least really really low out put of EMF. I as I said have ethernet which is not high in EMF and is safer much much much safer than Wifi. I think Q-link will always be a great product to wear even is EMFs in society reduce as it really does help the system work at its best . We need to educate ourselfs and others on EMFs. I believe that science can find more alternatives and healthy alternative power sources away from EMF. But we as the consumer must help this happen. I will always be wearing my Q-link as I find it is fantastic and so happy with it. My husband purchased a Q-link a few years ago and started wearing it. I thought it was kind of stupid to wear and honestly a waste of money. After about a year he took it off and stopped wearing it. It has sat on his nightstand for a while now. In November I developed a double arrythymia that was causing some major health issues. Jokingly my husband handed me his q-link and asked if I would be willing to wear it for a week and see if I noticed a difference. I reluctantly said I would, but thought it was pretty silly… within three hours of wearing the darn thing my double arrythymia stopped. I thought maybe it was a fluke, but within 1.5 hours of not wearing it my double arrythymia comes back with a vengeance. 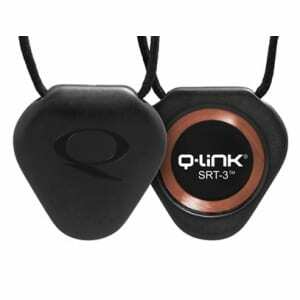 I am currently off all heart medicine because of the Q-link. I am now a believer in the product and still am amazed that it works.